Size: -- Choose Size -- Adventurer/75" x 24" x 2" Outfitter/82"x 38"x 2.5" Universal/80" x 30" x 2"
Do you miss your comfy bed when you go camping? 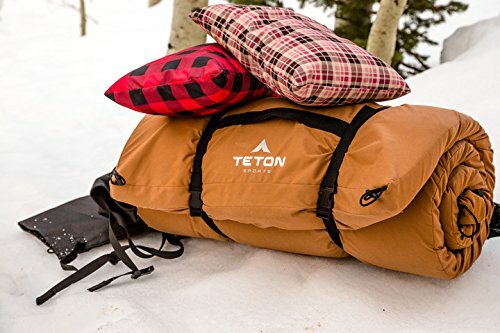 You no longer have to miss it because now you have Teton Sports Camp Cot Pad. This will offer you all the comfort from your bed at home. The dual roll straps will help you to roll the pad tight and keep it that way for convenient storage. You will also clean it very easy. 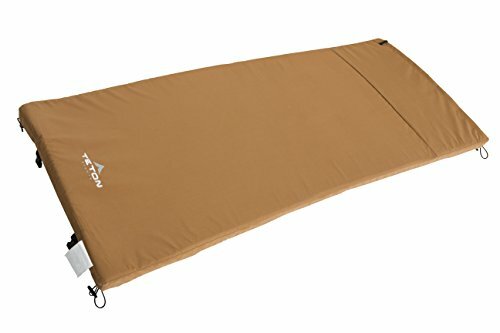 Finally, a camp pad that makes camping comfortable. The TETON Sports Camp Pads are thoughtfully designed to help you feel like you’ve brought the comfort of home to the campsite. 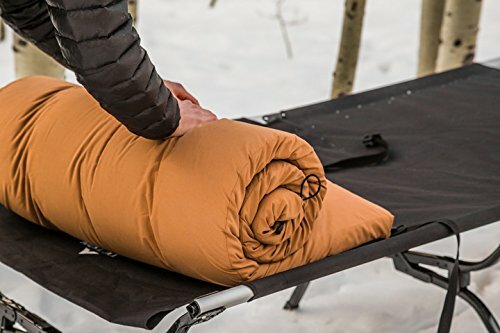 Each camp pad is made with open-cell foam that recovers every time you roll it out and provides another layer of comfort and warmth from the cold, hard, uneven ground or uninsulated cot surface. The built-in roll assister and roll-up straps with compression buckles make storing your pad quick and easy. They’re easy to carry to the campsite thanks to the integrated carry handle. The canvas shell slips off to make cleaning easy and each cover has a sewn-in pocket for storing your wallet, keys, or flashlight. The TETON Sports Camp Pads come in multiple sizes. The Outfitter XXL, the Universal, and the Adventurer Camp Pad. They’re designed to fit perfectly with the TETON Sports Camp Cot of the same name and can also be used as a stand-alone ground pad.